CooksRecipes has quality, kitchen-tested recipes for diabetic-friendly frozen desserts and ice cream treats that you can count on for accuracy and deliciousness. 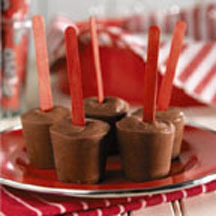 Kids will love to help make these fun yogurt pops—and will enjoy eating them even more! 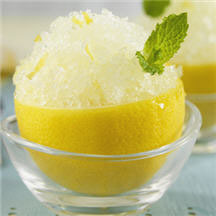 Wow your family and guests with this tangy fresh lemon sorbet served in hollowed out lemons. Garnish with a sprig of mint for a great presentation. 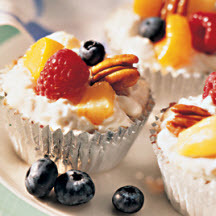 A refreshing creamy frozen dessert filled with peaches, oranges and berries. Because it's made ahead, this is a great treat for unexpected guests.